This week in gaming: Doublejump is looking for new contributors, Grand Theft Auto V makes it big, Rainbow Six Siege crosses a new milestone, and more! Yes, folks, we are hiring! We are searching for active, committed and skilful games journalists to join the team and contribute editorials, feature articles and reviews to our much-loved, always-growing project. MarketWatch has reported that Rockstar Games’s Grand Theft Auto V has earned publisher Take-Two Interactive approximately US$6 billion in sales since its original 2013 release. The publication has made this claim based on input from various financial analysts as well as NPD sales data, with the latter finding that the game has sold more than 90 million units to date — more than three times that of the most successful Call of Duty, Modern Warfare 3, which sold 26.5 million units. KeyBanc analyst Evan Wingren attributed part of GTAV’s immense success to the fact that developers can make drastic changes to their games based on player feedback. “Games in general have the enviable position that their content is interactive, which allows them to make data-driven insights and adjust games and business models that benefits players and the company,” he said. 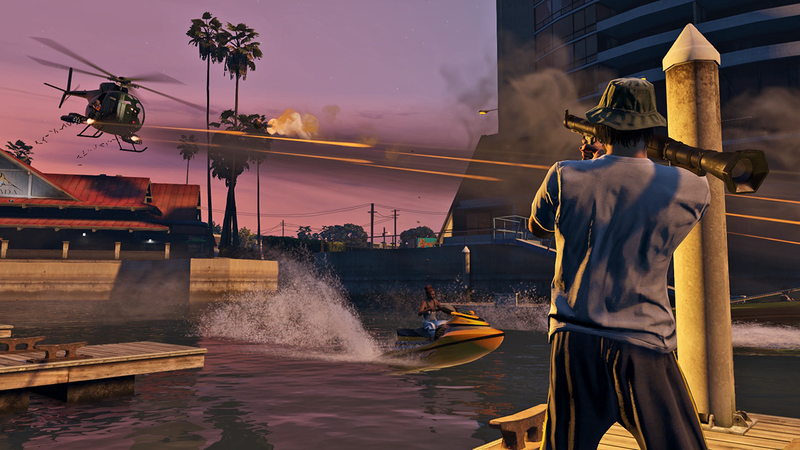 He later noted that the game’s GTA Online mode lent itself well to players spending hundreds and even thousands of hours within its virtual world. The storied Japanese publisher made the announcement at its annual SEGA Fes event late this week and provided a 2018 release time frame for the throwback system (via Polygon). Eager fans may be disappointed to learn that SEGA has continued its relationship with AtGames – the company that produced the poorly-received Mega Drive Flashback – for the Mega Drive Mini, but the latter noted that the Mega Drive Mini uses “different emulation” and will include “additional features” to the Flashback system. SEGA also revealed that it will be releasing select Mega Drive games on the Nintendo Switch sometime this winter but declined to identify specific titles. French publisher Ubisoft recently announced that more than 30 million people have played its tactical multiplayer title since its December, 2015 release. The company also noted that 2018’s first major tournament for the game, the 2018 Six Invitational, attracted more than 321,000 concurrent viewers at its peak. The game is currently within its third year of support, with more maps and Operators scheduled to be released throughout over the coming months. Developer Epic Games recently added a new replay feature to its free-to-play shooter that will allow players to use recording tools to analyse gameplay, document notable moments, and more. Players will also be excited to learn that Fortnite’s next item is the Port-a-Fort, which is a grenade that can create instant fortification once detonated. As of this writing, Epic has yet to announce a specific release date for the new item. The developer revealed that the game’s second expansion is titled Warmindand is slated for a May 8 release, with a full reveal scheduled for April 25 AEST. The expansion’s release will coincide with “beginning of Season Three” content and will also mark the date from which all expansion-based Crucible maps will no require owning their relevant expansions. Therefore, all players will have access to every single map in the game’s public Crucible playlists, but private matches will require ownership of each expansion to play on such maps. Later in the week, Combatants Design Lead Tomonori Kinoshita also revealed plans to rebalance “player damage scaling vs. higher-leveled combatants” to create more difficult encounters and to increase Fireteam coordination by increasing energy weapon elemental damage multipliers against shielded enemies. Now we can all find those pesky sailors in HD! Music producer Peter Scaturro talks fans through the creation of the game’s Norse-themed musical score. Sony speaks with the game’s trio of composers about how they plan to bring future Detroit to life through its soundtrack. This blonde-haired knight has had enough of living under his sword’s control. You can tell that these two hosts really LOVE their jobs! Whatever you do, don’t get on this hero’s bad side. While Jake very much enjoyed his time with MAFIA III, but not everyone did. Kotaku’s Jason Schreier has explored how the game’s mixed reviews and pressure from publisher 2K Games left developer Hangar 13 in a very uneasy state.